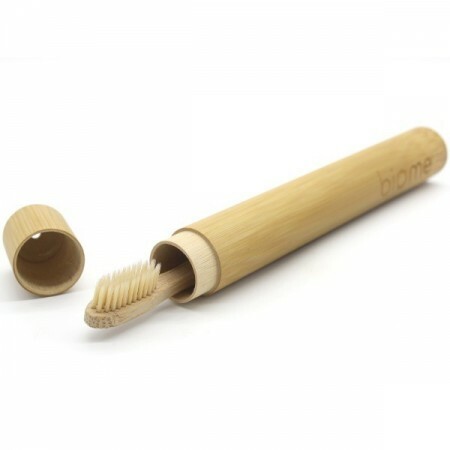 Plastic free holder for your bamboo toothbrush made from bamboo of course! Carry your toothbrush in a hygienic way in your bag for work, travelling, or anywhere on the go. 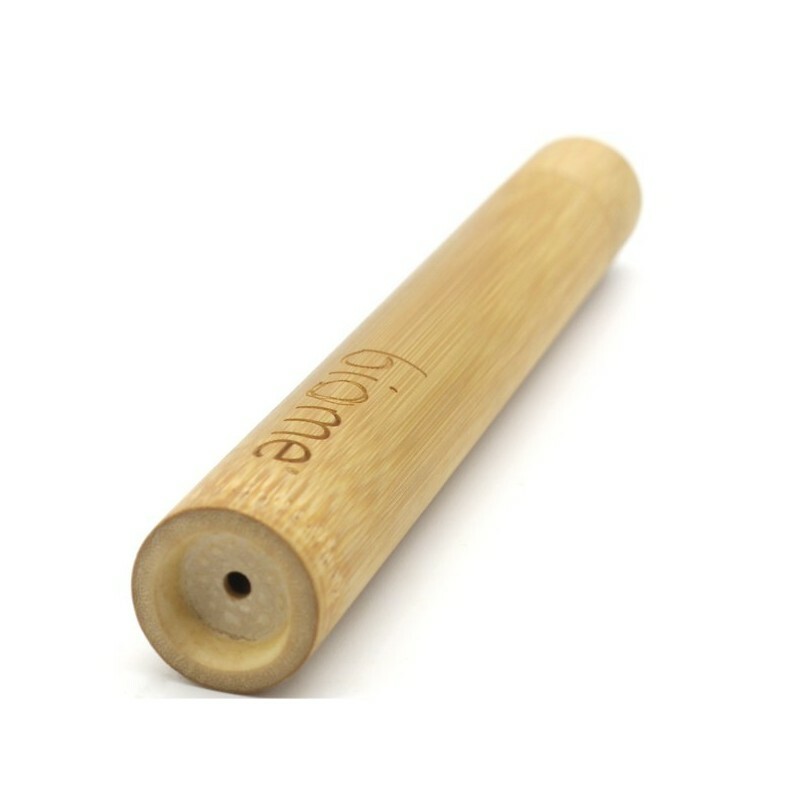 Airflow holes at the top and bottom of the bamboo travel case help keep your toothbrush dry. 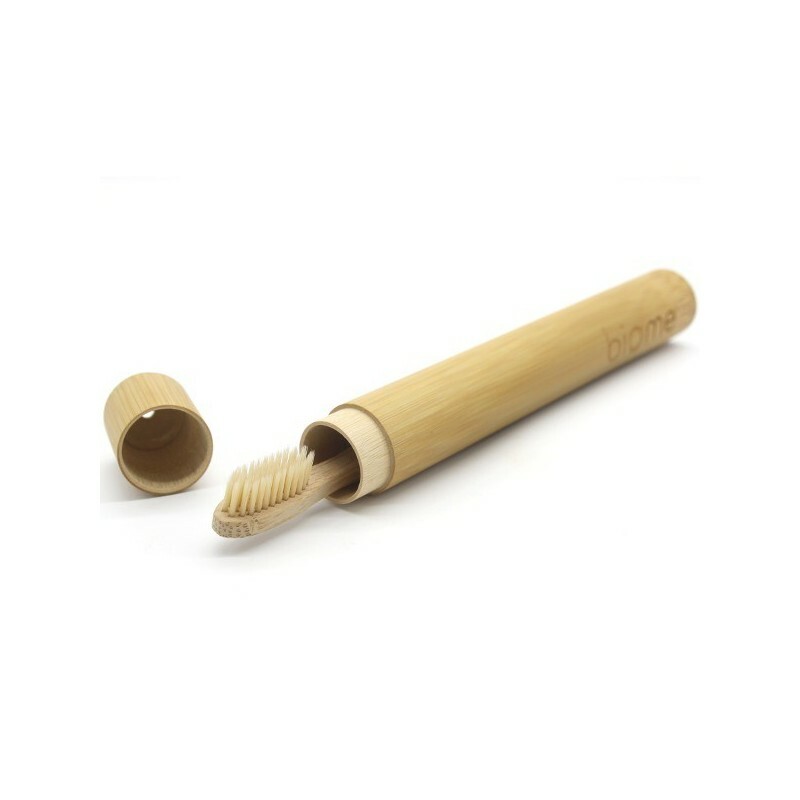 Couple this bamboo holder with a bamboo toothbrush for a great practical gift for a sustainable living friend. Made from MOSO bamboo, which is not the bamboo eaten by Pandas. Length 21.5cm x width 2.5cm (external), 2.1cm (internal). 4mm drainage/airflow holes at the top and bottom. Listing for one (1) toothbrush holder only. Toothbrush in image for illustration purpose only. If case becomes wet, allow to dry, preferably in a sunny spot. This is a natural wood item so when wet it will speed the decomposition process. 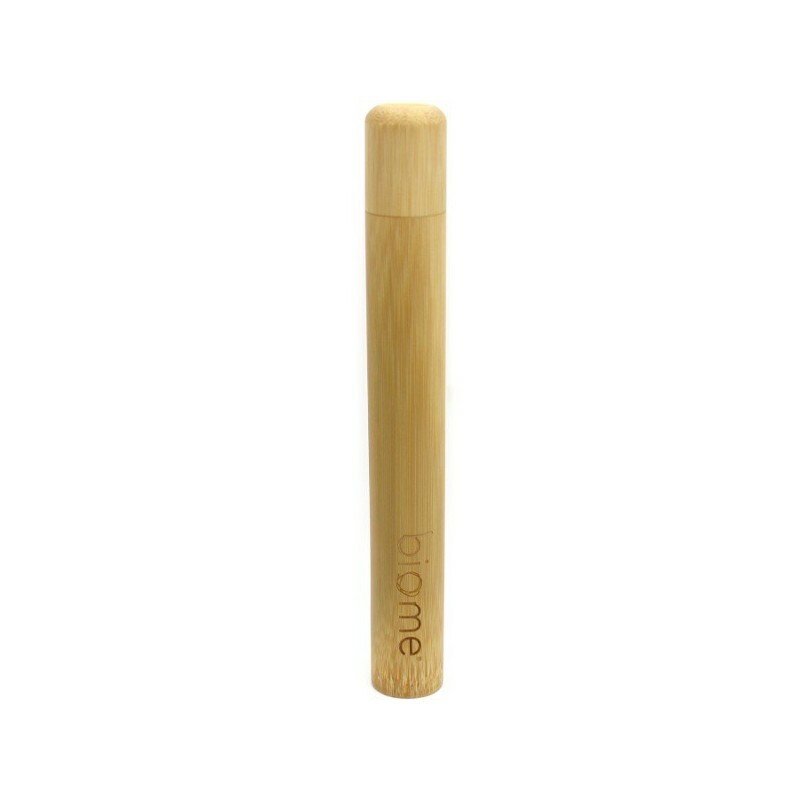 Soft bristle adult bamboo toothbrush made with PBT bristles. Such a fantastic size. Prior to this I was carrying my toothbrush in either a plastic case or a zip lock bag, so this is a nice new addition to my travel pack! Sturdy, strong, with a hole for drainage (if need be), and it seems to be made of a single piece of bamboo, which is amazing! Super light and handy. I will be using this when I travel! I love this eco friendly toothbrush holder-I work away a lot and being able to take my toothbrush in this ventilated container means another thing I don't need to wrap in plastic in my suitcase. It looks good too when customs rummage thru your case lol!